Montréal – June 15 2016 – AddÉnergie, the Canadian leader in charging solutions for electric vehicles (EVs), today officially launches its cross-Canada FLO network, allowing EV drivers to recharge their vehicles wherever they are – at home, at work, or on the go. The FLO network connects members to nearly 2,000 charging stations in B.C., Ontario, Québec, New Brunswick and Nova Scotia, along with interoperability capabilities that can extend the network to systems in other provinces. FLO unifies existing networks in Québec (RéseauVER™) and other Canadian provinces (VERnetwork™) to offer more than 20,000 Canadian EV drivers a consistent range of charging services on a single reliable network. The launch of FLO follows the recent investment of $12.8M in AddÉnergie by the Caisse de dépôt et placement du Québec and Investissement Québec to support its deployment plan. Network build-out plans call for an additional 8,000 more stations in Canada over the next five years (this number excludes home stations). 24/7 live operator support through a 1-800 number backed by a centralized (cloud-based) management system overseen by a dedicated support team that ensures network reliability by detecting and proactively resolving charging issues in real-time at any of the charging stations. 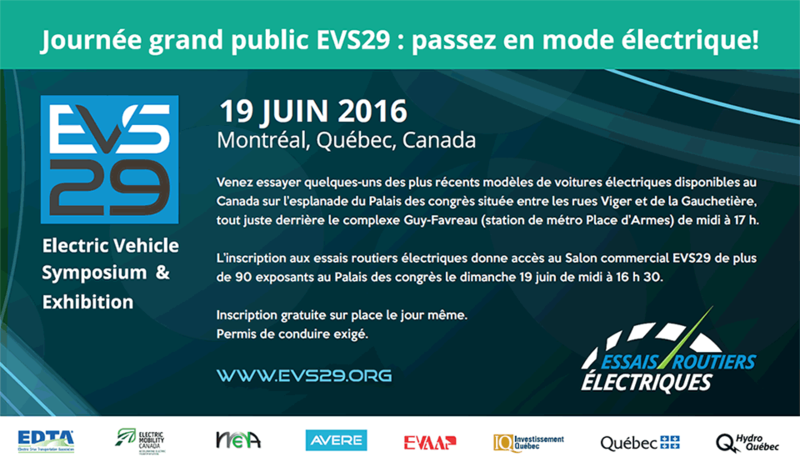 A new FLO Home™ charging station targeting the residential segment will be introduced to the public at the 29th World Electric Vehicle Symposium and Exhibition (EVS29) taking place June 19th to 22nd in Montréal. Robust and manufactured entirely in Québec, the new intelligent station has been specifically designed to withstand the rigours of the Canadian winter. Highly secure, it is also equipped with features to protect both itself and a connected EV against fluctuations in the electrical grid. The FLO Home service will be available in early Fall 2016 at an introductory price of $1,195. EV drivers in Québec will benefit from a government rebate of $350 for home chargers. “It is with enthusiasm that we welcome this offer on the part of Canada’s undisputed leader in the domain of public charging: a smart home charging solution, sustainable, connected, and scalable, designed to meet both the demanding conditions of the country and the needs of electric vehicle owners,” says Simon-Pierre Rioux, president of the Association des véhicules électriques du Québec (AVEQ).